Infinity Cache is an extension for WPtouch Pro users. It enables desktop and mobile caching. 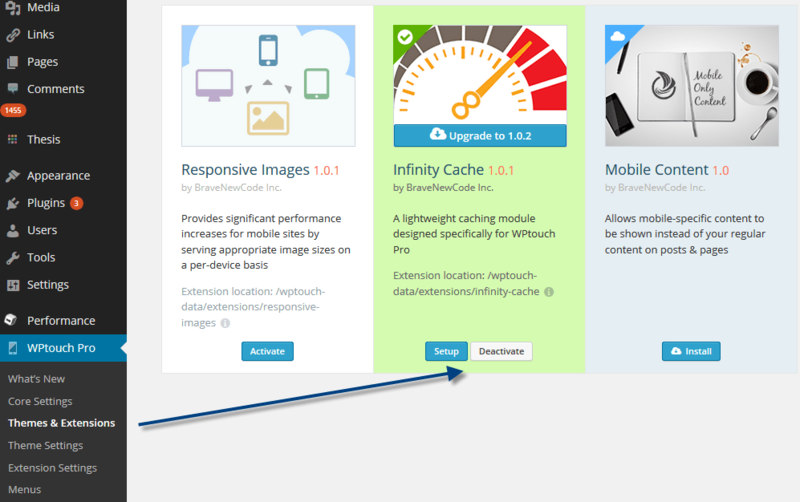 Even though most WPtouch Pro themes are fast, you can get them to perform even better with Infinity Cache. Once you activate the extension, you will be able to define max age of cached components and disable cache for certain URLs. 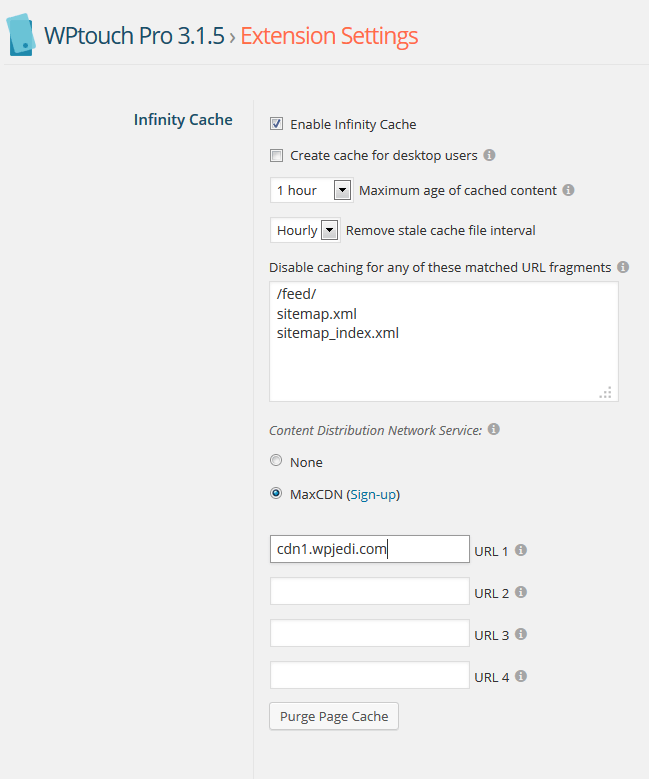 Infinity Cache is MaxCDN friendly. All you have to do is add you custom URLs, and the rest is easy (see instructions here). Infinity Cache can’t perform a miracle for your website, but it can make it run better on mobile devices. If you are using W3 Total Cache, do yourself a favor and turn off the “create cache for desktop users” option. The folks at WPtouch have other awesome extensions available for their plugin. But Infinity Cache is my favorite for now.